The information and features included in the Site are subject to change at any time without notice. By accessing or linking to the Site (to the extent linking is permissible), you assume the risk that the information on the Site may be changed or removed. • Enhance, add to, modify or discontinue the Site or other Offerings, or any portion of the Site or other Offerings, at any time in our sole discretion. If you register with the Site, you agree to accept responsibility for all activities that occur under your account, email or password, if any, and you agree that you will not sell, transfer or assign your account . You are responsible for maintaining the confidentiality of your password, if any, and for restricting access to your computer so that others may not access the password protected portion of the Site [or your Site issued email account] using your name in whole or in part. If you feel that your password has been compromised, it is your responsibility to change your password. Although we attempt to maintain the integrity of the Site and other Offerings, we make no guarantee as to the accuracy or completeness of the Site or other Offerings. If you believe that you have discovered an error in the Site or other Offerings, please contact us at +27 11 554 1000 and include, if possible, a description of the error, its URL location and your contact information. We will make reasonable efforts to address your concerns. You agree that we and our parents, affiliates, subsidiaries, licensors and assigns, and each of their respective employees, officers and directors (collectively, the "released parties"), are not liable to you for damages of any kind, whether based in tort, contract, strict liability or otherwise, including, without limitation, any direct, special, indirect, incidental, consequential or punitive losses or damages arising or resulting in any way from or in connection with the Site, the Offerings, the user forums, the Material, or any errors or omissions in its technical operation or the Material, even if we have been advised of the possibility of such damages, whether caused in whole or in part by negligence, acts of God, telecommunications failure, theft or destruction of, or unauthorised access to, the Site or its related information or programmes. Notwithstanding any other provision in this Agreement, in no event and under no circumstances will the released parties be liable to you for any reason or any cause of action whatsoever in an amount greater than fifty dollars ($50). Some jurisdictions do not allow the limitation or exclusion of certain warranties and conditions, and/or the disclaimer of some types of damages, so some of the above might not apply to you. Any violation of this Agreement may result in restrictions on your access to all or part of the Site (including any Web Property or email address provided by the Site) and may be referred to law enforcement authorities. No waiver of any of this Agreement shall be of any force or effect unless made in writing and signed by a duly authorised officer of Herbalife. We reserve the right to modify or discontinue this Site, or any portion thereof (including, without limitation, any particular Web Property that resides on the Bizwork Platorm) without notice to you or any third party. 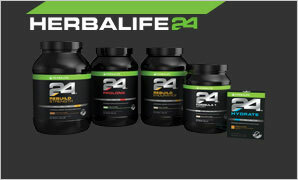 Upon termination of your access to the Site, or upon demand by Herbalife, you must destroy all materials obtained from this Site and all related documentation and all copies and installations thereof. You are advised that we will aggressively enforce our rights to the fullest extent of the law. 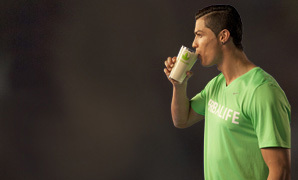 Although product purchases made through this Site are fulfilled by Herbalife and your Herbalife Member in the United Kingdom, Herbalife’s affiliates operate the Site in the United States and other locations outside of the United Kingdom. All software used on the Site or other Offerings is subject to U.S. export controls. No such software may be downloaded or otherwise exported or re-exported (i) into (or to a national or resident of) Cuba, Burma, Democratic Republic of the Congo, Ivory Coast, Iraq, Libya, North Korea, Iran, Syria, Sudan, Venezuela or any other country to which the U.S. has embargoed goods; or (ii) to anyone on the U.S. Treasury Department’s list of Specially Designated Nationals or the U.S. Commerce Department’s Table of Deny Orders. By downloading or using any such software, you represent and warrant that you are not located in, under the control of, or a national or resident of any such country or on any such list. The laws of England & Wales apply to this Agreement (without regard to conflict of law principles that would cause the application of any other jurisdiction's laws) and will specifically not be governed by the United Nations Conventions on Contracts for the International Sale of Goods, if otherwise applicable. In case of disputes the courts of England & Wales will have jurisdiction. Last Revised on July 31, 2015.